Thank you for visiting my blog! I started it in September 2013 to have fun and share my love of MacGyver. I wrote one post per episode and counted down from my least favorite to most favorite, and I sprinkled in some conversations with cast and crew members. Once I finished writing about all the MacGyver episodes, I moved on to counting down another favorite subject of mine: Disney music. I also started two podcasts - one where I talk to people involved with the Olympics, and another where I talk to authors. Despite the fact that all these seemingly unrelated endeavors are on different tracks, I decided to keep everything centrally located in the same blog for my own ease of use. I have no shortage of ideas for potential future topics, and I foresee the blog continuing to grow and branch out to different areas. 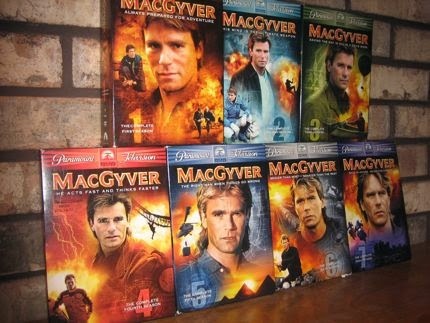 But I like to think of MacGyver as at the spiritual heart of everything, and just because I'm done counting down the episodes doesn't mean that I won't ever post about MacGyver again. As for me, I'm originally from Pennsylvania but now live in Wisconsin. I have a son who keeps me busy, and in my spare time I enjoy sports (playing and watching), reading, and being outside. 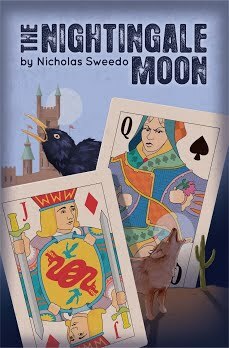 In 2014, I published a novel called The Nightingale Moon which is available for order on Amazon.com. It's a historical fiction novel that takes place in the U.S. Civil War, and while it's primarily intended for 10-14 year-olds, adults can also enjoy it too. You can also learn more about me by checking out my book web site. Thanks again for visiting and enjoy "The MacGyver Project!" Thanks for the comment, Nancy, and hope you enjoy the blog! I have recently discovered your blog, and although I haven't had a chance to really dig in and comment, I wanted to let you know that I have enjoyed what I have read immensely. I recently became a huge fan of MacGyver, and I love reading your reviews of episodes. I also wanted to thank you, because you inspired me to finally start my own reviewer's blog, something I've been wanting to do for a long time but have never been sure how to approach. I recommended your blog in my initial post of The OCR (Obsessive Compulsive Reviewer), not only because I enjoy it so much, but also because you inspired me so much. I can't wait to continue to read more of your posts! Thanks! That's awesome! I appreciate the kind words and am happy to hear that my blog inspired you. I will check out your blog!